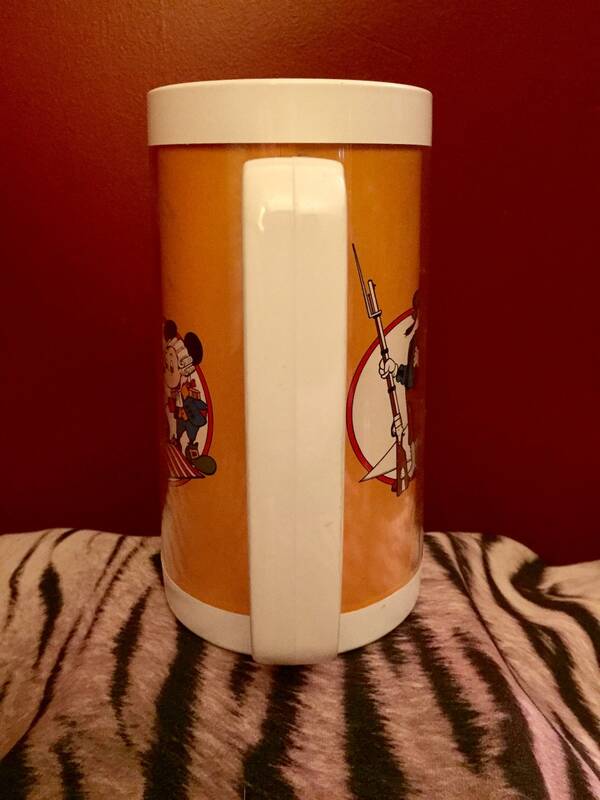 This is a wonderful piece of Disney history! 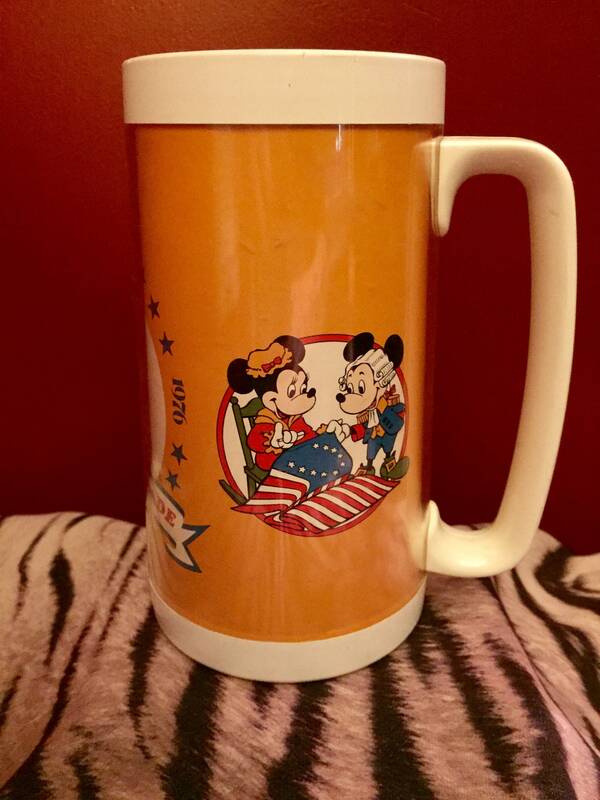 Pictures are under plastic and wrap around the tall mug. 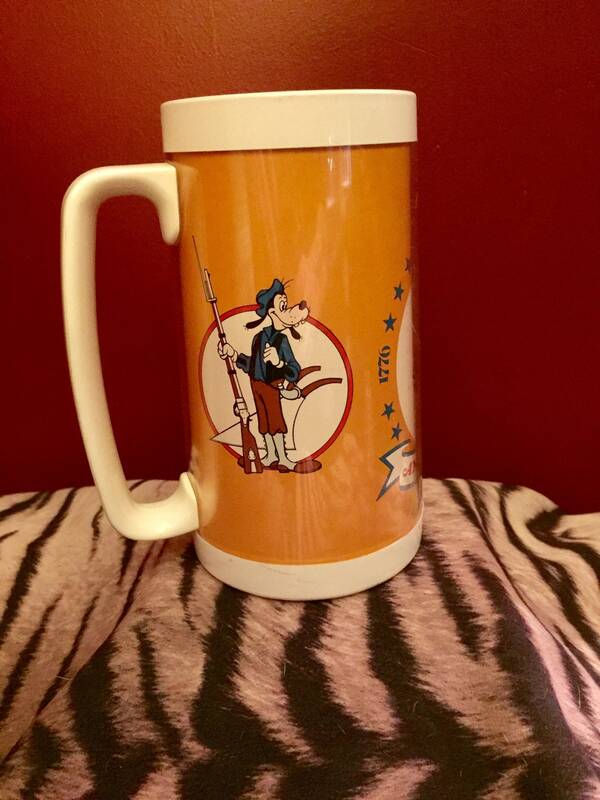 Dates on the mug are 1776 and 1976. This piece was pre-owned but obviously never used as the original price sticker is still on the bottom. No damage whatsoever. In A++ condition. 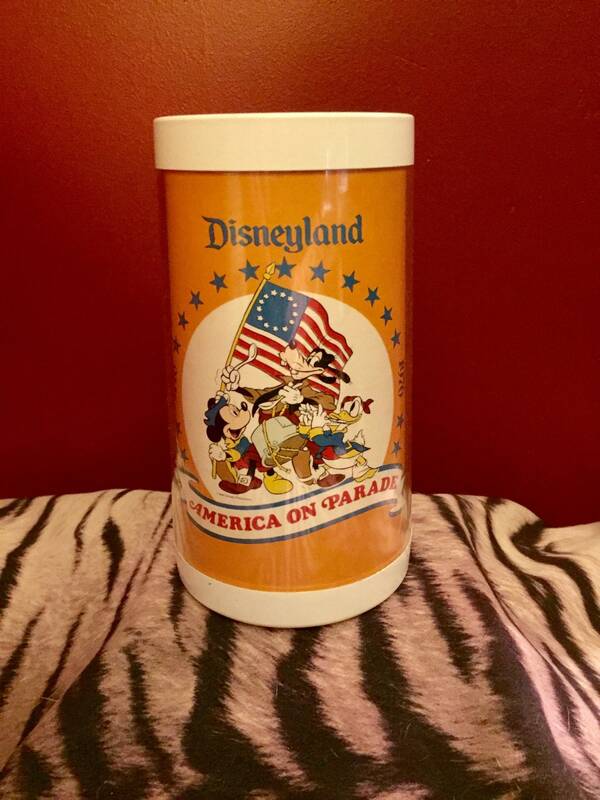 Buy some tickets to Disneyland - place them in the stein/mug - wrap it up! Vacation to Disneyland!